A momentous and spectacular change t o our public lighting is resulting in some startling effects on features of our urban furniture. 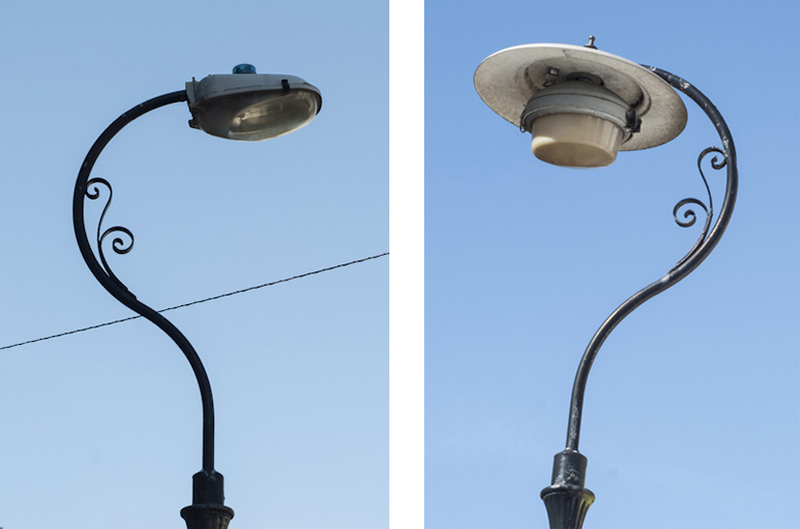 Throughout the city, LED street lighting is replacing the sodium type that had generally been applied for several decades. A steady increase in locations affected and in the numbers of newly fitted lighting in them is now rapidly revealing the extent and nature of this transformation of our public, and not only nocturnal, realm. 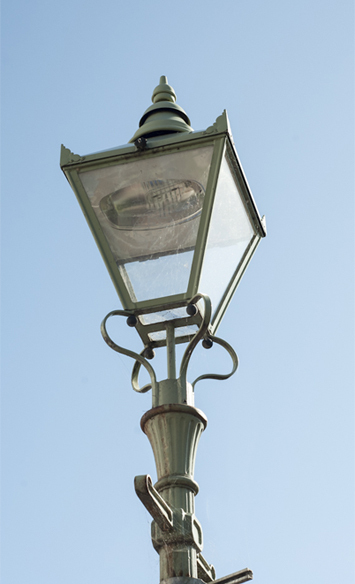 Some historic or familiar lamp styles cannot be replicated with the caps and lids manufactured for LED purposes. The process is taking place to a greater or lesser extent in towns and cities across the world. In England, while promoted by the government, the approach is permissive, allowing local authorities to plan for and implement the policy if and when they choose, and to seek funding. 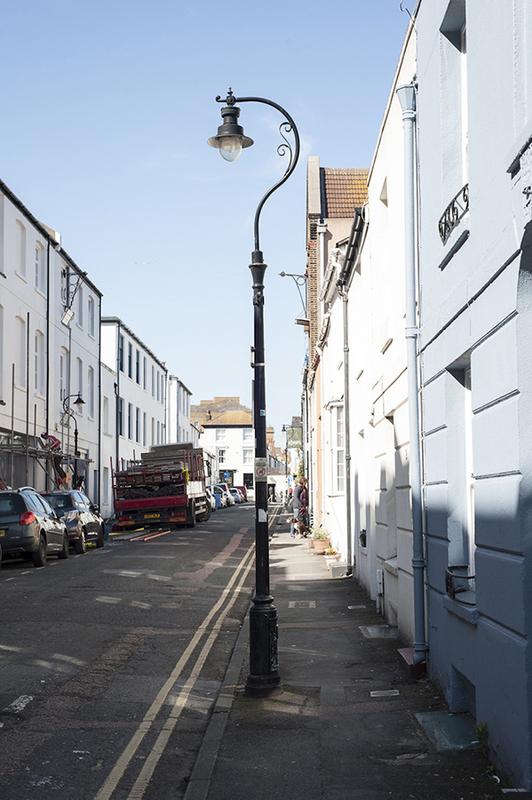 In Brighton & Hove the city council’s three-year project, publicised in 2015 and introduced in 2017, involves more than 18,000 lighting points, and is funded by £7 million loaned from the Public Works Loan Board and £900,000 from the local transport plan. An intensity rating of 3,000-Kelvin, intended to provide a relatively soft tone, has been ordered throughout. The fixture providing LED (light emitting diode) in a lamp appears as a horizontal rectangular plate punctuated with small-scale discrete white lights, of distinct intensity when in operation, directed to project at set angles. 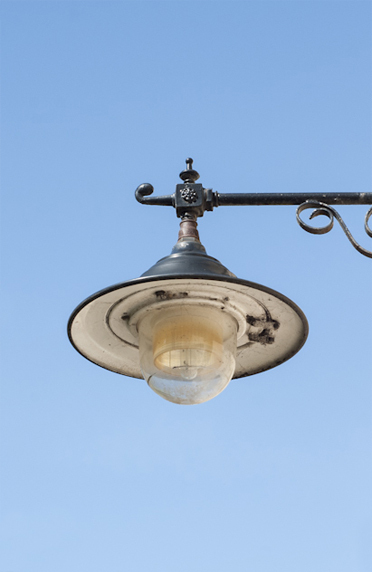 This form differs from sodium lighting, the latter emitted from a larger, rounded bulb whereby typically its enclosing lantern is filled with a comparatively cloudy, generally yellower or orange glow that spreads into the surrounding space. The main reasons for LED are that it is more energy efficient, it requires less maintenance and it substantially reduces carbon emissions. The consequences receive occasional minor publicity in contexts of engineering, transport, health or wildlife. However, this major change in the character of our urban environment, gathering pace and sweeping all before it, is not matched by a commensurate cultural profile or public debate. Nowhere is this absence of active recognition more apparent than in our national institutions representing, or responsible for, heritage protections and perspectives. 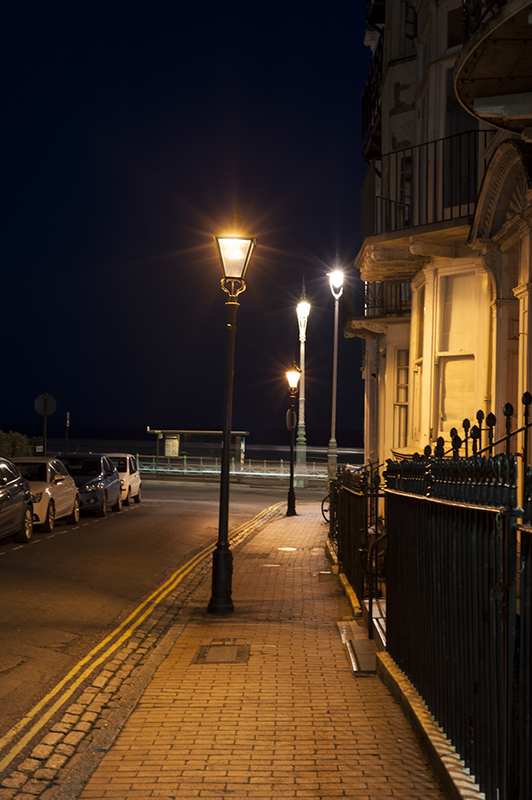 The Victorian Society, for example, has confirmed that it is not aware of any research or publications exploring the impact on historic street lamps of their conversion and alteration to LED. The current draft text for consultation on revisions to the National Planning Policy Framework only refers to lighting in a chapter on conservation of the natural environment: planning policies and decisions should “limit the impact of light pollution from artificial light on local amenity, intrinsically dark landscapes and nature conservation”. 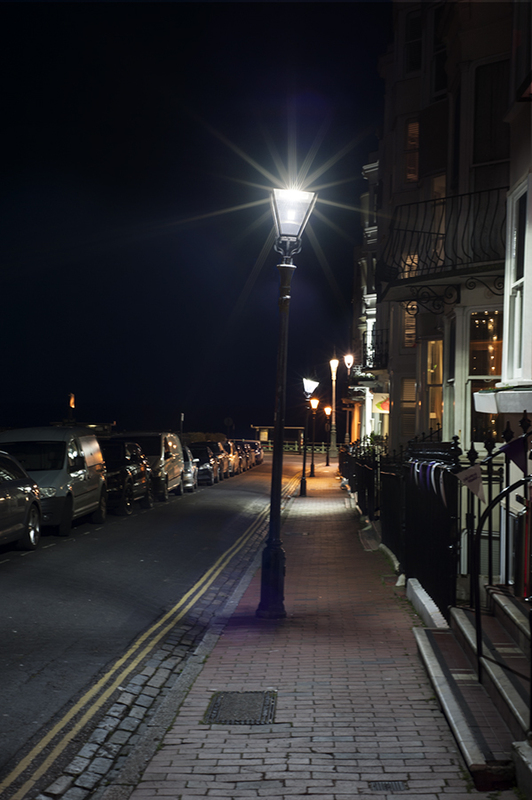 In 2014 the Campaign for the Protection of Rural England published the results and report of an extensive and detailed national survey it conducted of local authorities’ policies on street lighting. Our own city boundary encompasses considerable expanses of open green space where exposure to a change in lighting may have some unforeseen implications. Considerations of scenic quality and landscape character need to be balanced with ecological factors. 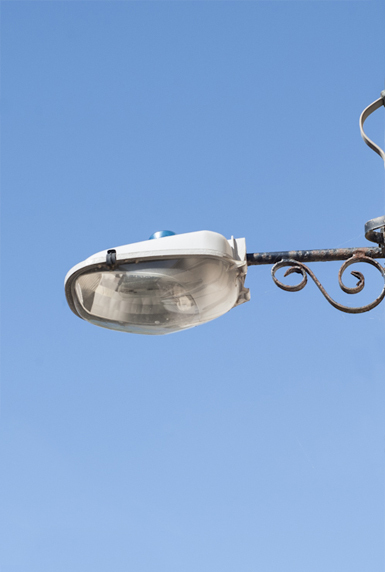 Among its many findings, the CPRE report indicated that 95% of those local authorities who responded said they were taking into account lamp design. 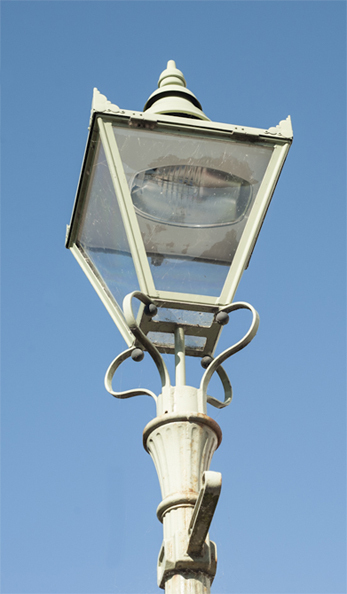 Our understanding is that heritage professionals and producers generally consider that particularly rare or intricate aspects of street light columns, that is to say the upright posts, are of greater significance than the lamp designs holding or containing the bulbs – previous adaptations and redesigns often having superseded original designs. 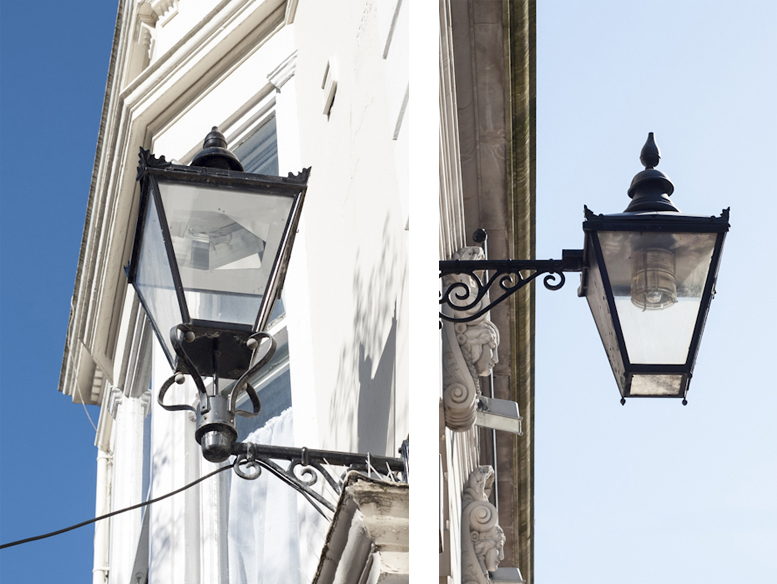 In Brighton and Hove, some local listing has ensured consistent lamp design in certain historic squares and crescents that are not listed grade I. 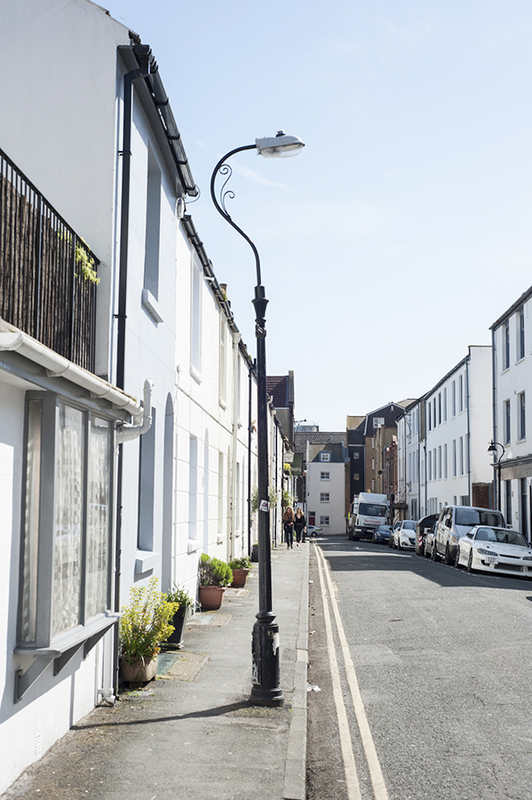 One local group that has taken a close interest, for ten years, in the replacement and modification of unlisted street lamps is the Round Hill Society. The desirability of LED lighting from a heritage perspective is not a simple matter, and is not one of those issues, such as selective proscription of UPVC, on which an established consensus of opinion is evident. Some people welcome the clean quality of the light shed on their surroundings as preferable to, or more appropriate than, the former sodium. The heritage professional opinion favours LED over the low-pressure orange sodium in historic areas since the LED gives a truer colour rendition. Whether over the glass, the passage of time, pollution and salt might come to cloud this clarity, creating more of a glow, we shall see. Nevertheless, some find that the position of the fittings within existing column heads can create a harsh and piercing effect on the eyes, and a cool, curiously vacant and possibly intimidating ambience about the vicinity. Moreover, alarmingly, many elegant or characterful lanterns and lamp holdings are being lost to, or distorted by, materials, dimensions and designs that appear out of place or out of proportion. This is especially true of swan-neck items from the 1930’s. In some instances of listed or formerly listed posts, it can be difficult to tell whether an ill-fitting top is temporary, pending repair or restoration, or permanent. What has become abundantly clear is that the difference made by LED is pervasive and striking. The present stage in the roll-out here, as we pass swiftly from a minority into a majority of LED, is the perfect time to compare the arriving light or lamp with the vanishing, as in so many places, in one respect or another, a lamp light is standing in stark contrast to its hitherto identical neighbour.